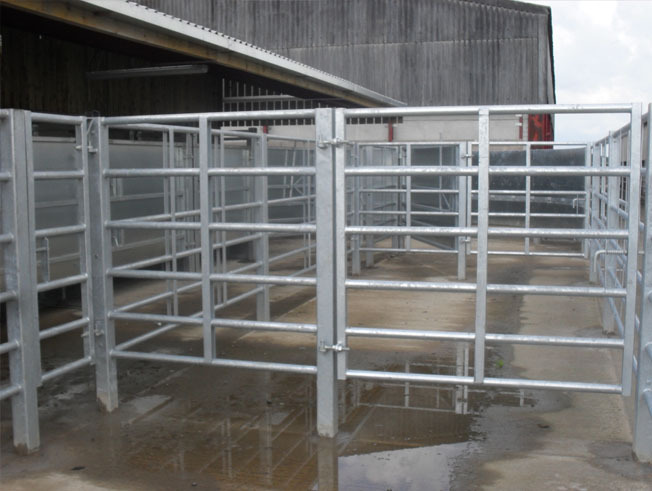 John Sisson Contracting offer expertise gained from many years of supplying fixed cattle handling systems to suit every situation from many of the largest UK cattle markets to the most awkward sites in fields and on farms. 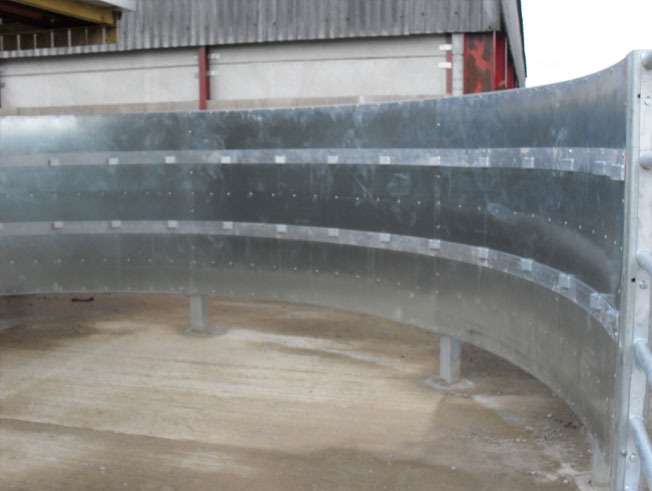 The most recent theories in animal welfare and operative safety have been incorporated into our latest designs including semi-circular forcing pens and sweeping curved races. Due to financial restrictions in this day and age, many farmers do not always have an extra farm hand available to watch their back whilst handling livestock. Often, this leads to putting yourself in harms way unnecessarily. Handling livestock is a dangerous activity. 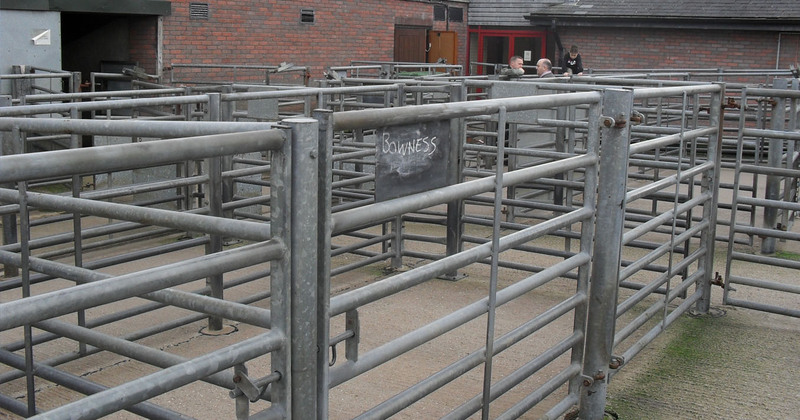 Inappropriate livestock handling facilities are often to blame. Working with livestock will always involve some risk, but sensible health and safety is about managing risks, not eliminating them. That is why every farm that handles livestock should have a decent handling system. 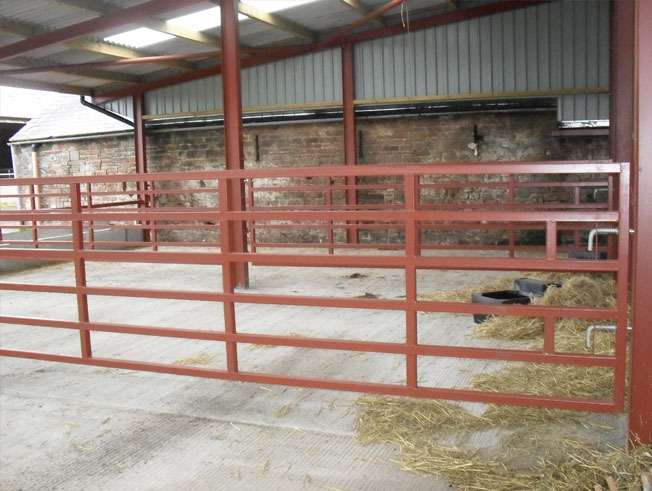 Each farm has its own particular needs but there are certain features that should be considered for any handling system. 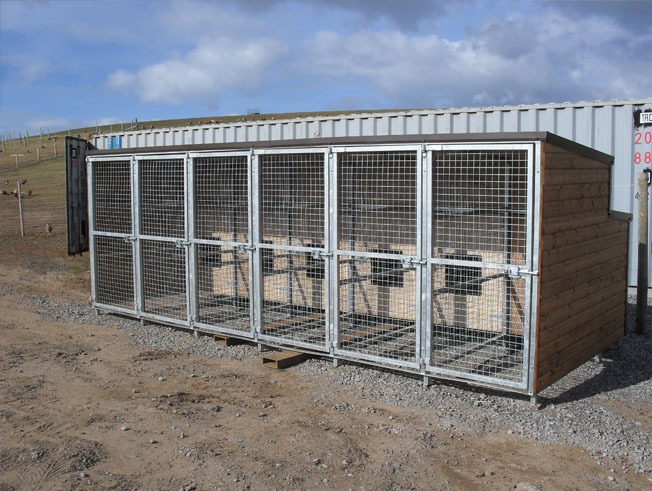 We can design your permanent fixed livestock systems to suit your requirements. Breeds and rearing systems will also have an effect on how you need to design or use a handling system. There is ample evidence to show that cattle less frequently handled are more flighty, so fence heights and strength need to account for this. 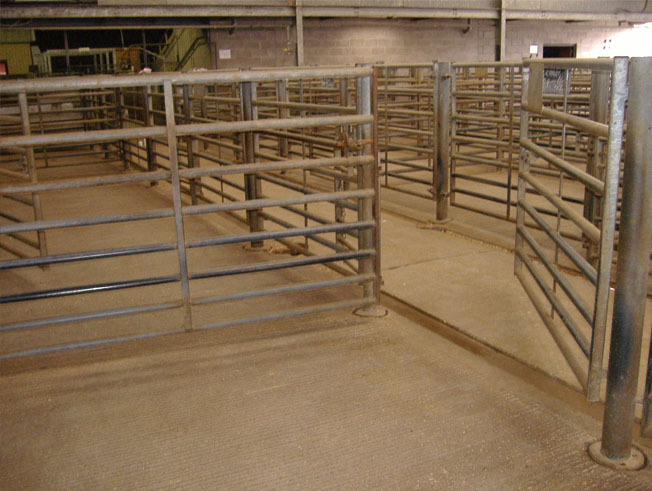 Floor surfaces need to be slip-resistant and sound for both the stock and the stockman's benefit. If you notice cattle slipping, even slightly, it will make them nervous and once they lose confidence in their footing it will be difficult to keep them calm. Collecting pens, the forcing pen and race should be designed to promote cattle movement while protecting workers from crushing. Gates should be properly hung so that they can open fully against a pen wall. Round posts are best, with hinges and other protrusions minimised, for example, either by design or covering with rubber padding. 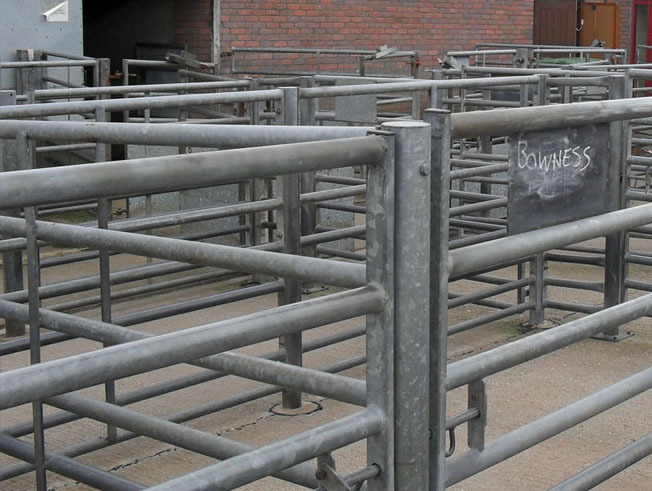 This reduces damage to the cattle as well as people..
Curved races and forcing pens with solid sides are becomming more common in the UK and they have been shown to improve cattle flow and efficiency by up to 50%. This could be crucial with decreased staff numbers and one-man operations. If you currently have a straight race it may be possible to put a bend in ahead of the crush to create the same effect. It should be possible to operate the race without entering. A cat walk and blocking gates to prevent cattle "backing up", or pushing forward will help. It is essential that you have a gate to prevent cattle charging forward when you are working in the rear of the crush. Cattle crushes come with many varied features and benefits. You will need one that suits your particular needs. The provision of a crush, or sometimes lack of it, is a real problem for veterinarians who often feel morally obliged to carry out their work even in less than ideal situations. But if a task takes longer because an animal is not properly restrained then it is worth considering just how much extra this costs, or the potential cost should the poor facilities cause an injury. The crush should be secured and have a sound floor. It should be sited so there is a livestock-free working area around it. As with all mechanical equipment, regular maintenance will ensure continued safe operation of the crush and prolong its life, as well as yours. You need to make sure that the yoke works freely and the locking mechanism is adjusted correctly to avoid it springing open. It is also worth looking at some form of head restraint, which greatly improves safety when performing re-tagging or sensitive veterinary work such as eye treatment. A well designed and built handling system may seem expensive, but it will last many years. It will also save a lot of time and if you consider the business consequences of an injury to you or a worker, is cheaper than an accident. And it could save your life.